Like I promised this year, you are going to see more nail arts than anything else on the blog. and I am going to stick to the promise I made! 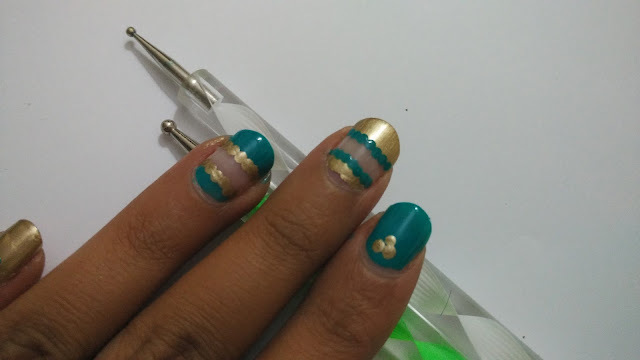 So here is a step by step nail art tutorial for this easy yet very pretty design. I personally love any shade of blue and gold. 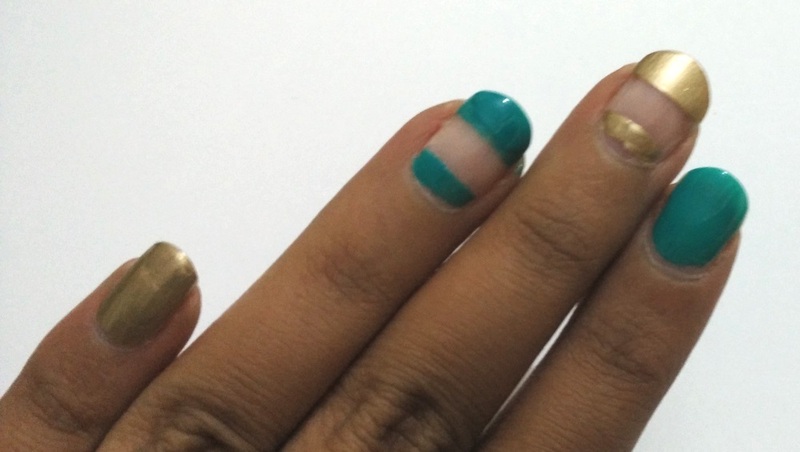 So, I decided to go ahead with a negative space nail art using these two shades. 1. Cut two to three thin strips of clear tape or any type of tape preferable. 2. Remove the strong adhesive by sticking it on your skin once, like I have done in this video tutorial. 3. 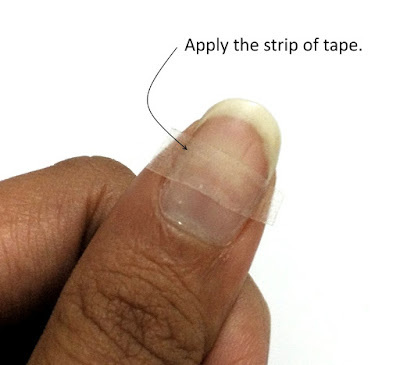 Place the strip of the tape right through the middle of the nail, horizontally. 4. Apply the polish of your choice , make sure you get an opaque coat the first time. 5. Gently remove the tape before the polish starts drying. 6. 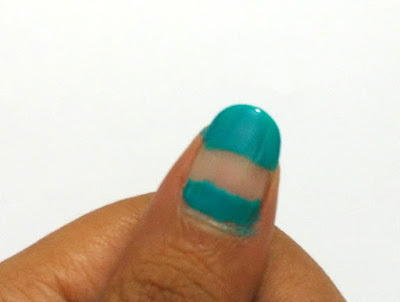 Apply alternate colors to the other nails, like I have done on my forefinger and small finger. 8. 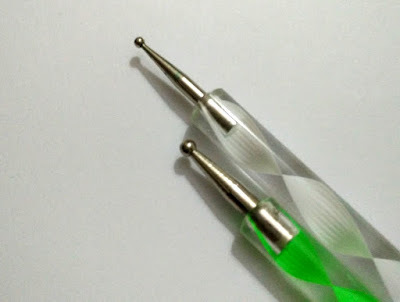 Using a dotting tool or toothpick, draw dots along the negative lines. Use alternate colors for the dots. Like for teal, use gold polish to do the dots. 9. Make three dots in a triangle on the fingers with plain nail colors, with alternate colors. After dotting using the dotting tools. 10. Finish up with a coat of glossy top coat and let your masterpiece dry! And there you have it! Easy and glam negative space nail art! Do use the hashtag #MNSNails if you recreate this design! I would love to see your take on the design! Do let me know if you want me to do a NAIL ART 101 series, where I will be telling you about one technique at a time?? Looking forward to see your recreations! Don't forget to tag me, I am @Priyanjana on Instagram and @Priyanjanaa on Twitter! yes yes yes yes yes.. Nail art for Dummies is what you should be doing!!! Teal and gold is literally the best combination ever, looks so fresh and glam. Love this one!